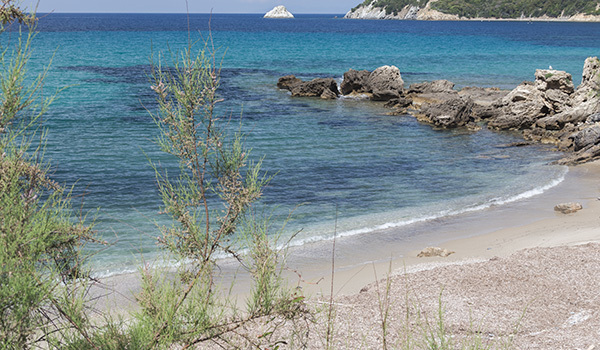 Among the countless little-known beaches, both small and large, strewn along the coast of Elba, I have seven preferences. If this brief description stimulates your curiosity, you can get to know them in more depth, as each article corresponds to some photos. You will certainly want to visit the “stars” among the island’s beaches, and so I shall direct you to post “The 10 most beautiful beaches of the island”, but I’m sure after few days on the most popular beaches and therefore the busiest, you will want to hide away on a more secluded beach. 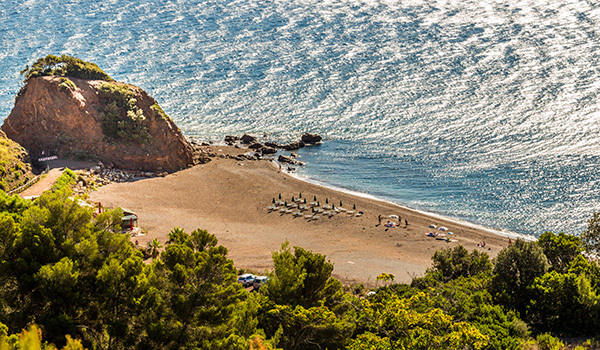 Then is the time to remember these seven beaches, which don’t really come near to introducing you to the great environmental diversity of the island of Elba, but it’s a good start. If you sign up for our newsletter, you’ll get a lot of first-hand information about the Island of Elba, with many original pictures; you won’t be overwhelmed daily by email and you can unsubscribe at any time. It lies on the main road that leads from Portoferraio in the Bagnaia area, near two prestigious tourist residences, Camping Rosselba and the Villa Ottone. You should leave your car on one of the open spaces along the road and follow a well signed short trail towards a diving company and a small bar. The beach is at the centre of the Gulf of Portoferraio and that in itself justifies the visit, because the beauty that surrounds you is hard to describe, but I tried in this post anyway. The hotel’s presence is very discreet, in fact it occupies only a small portion of the beach, otherwise the beach is all public. It alternates between one part sand and one part stony, and then continues with a low cliff along the land and the sea. The rocks are made up of pink limestone worked from the sea, and plenty of Posidonia prairie in the sea creates a favourable environment for a myriad of small animals that give you lots of pleasure during a short swim along the coast. 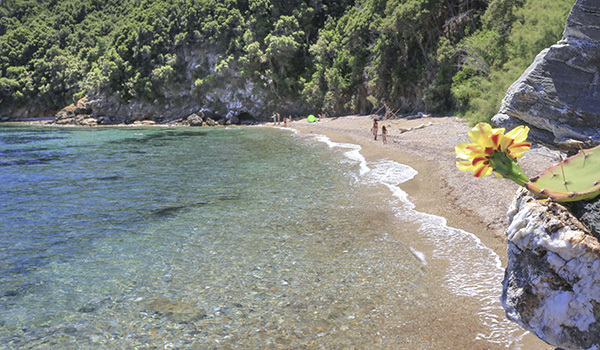 To reach this tiny beach, you need to go to the village of Viticcio which is located in the locality of Portoferraio. From the tiny village of Vitticio you descend the down the track to the microscopic beach, keep your back to sea, and then you have to walk about 200 metres to the right. It is not a easy walk, you have to climb in various places so don’t do it in April-May, when the herring gulls are nesting. 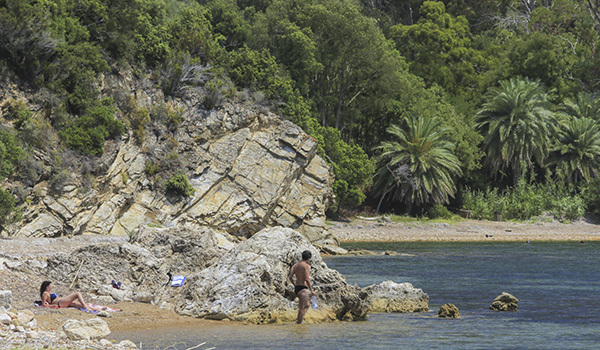 A good alternative is to dive at in at Viticcio and swim a few strokes to get to this cove which is formed by small rounded pebbles that derive from the gray sedimentary rock overhanging the sandy shore. During high season you may find some sailing boats anchored at a safe distance in the Gulf, while the owners pays a visit to this beach with the dinghy. You may have noticed that I have not given the beach a particular name, it is not marked on the maps and even with the locals there is some confusion, because in this short stretch of coast there are many small coves not marked on the maps. In addition to that in a previous article I called it “Beauty without a name”. There are some others which I have reviewed, one of these is “Pinetina” which is located in the vicinity of the Enfola peninsula and reached directly from the main street down a steep path in the bush. Another, closer to Viticcio, is currently being used by two hotels who replenish it every year with gravel and artificial sand. It is not easy to get right on this beach due to it being private property, but if you are interested you need to get permission from the hotel, and they usually agree. This second beach at the time was not identified by any name. Now we have moved to eastern side of the island, in Rio Marina. From here you must take the scenic road that leads precisely to the local area of “Porticciolo”, you can’t go wrong, because the road at a certain point becomes an unmade road and there is no exit. Shortly before the end of the road, faint signs direct you a down a steep hill into the woods for about 500 metres. The beach is at the end of this path. It’s difficult to tell whether its made of coarse sand or tiny stones, but it’s surrounded by greenery and with a beautiful seabed. There are several foreign tourists here as they tend to rent houses in the area and who want to have a good holiday in these natural surroundings. In fact it’s usually very silent here and, unless it is besieged by some motorboats, it is never too crowded. 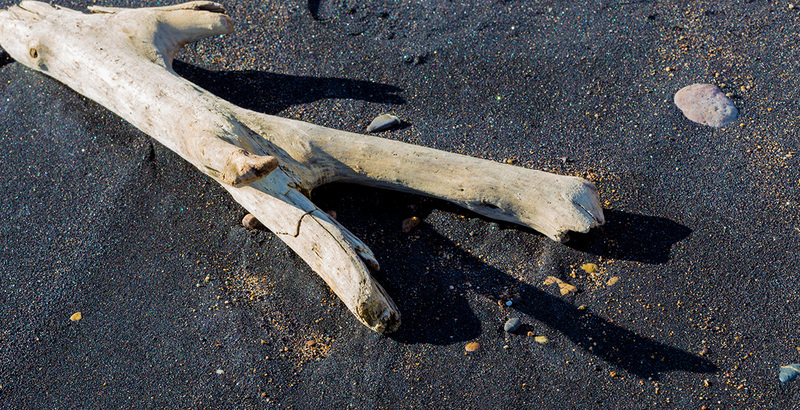 Plus you can count on shade from the tamarisk trees right on the beach. The seabed slopes down slowly, so its very good for small children in the water. The town of Capoliveri is a hillside village that dominates and manages a very long stretch of coastline. Along this coast you can find large sandy beaches like Lacona and Lido di Capoliveri, as well as very populated tourist beaches, like Innamorata, Pareti, Madonna delle Grazie, Morcone and others. 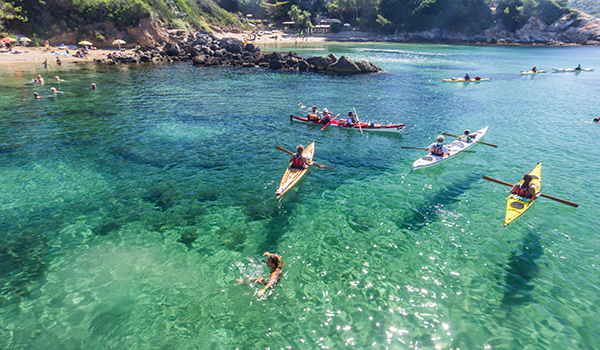 There are also many small coves frequented mostly by the lucky few who own houses and apartments nearby. One of these inlets is not easy to find and even less easy to reach. Cala Peducelli that is described and photographed in this post. 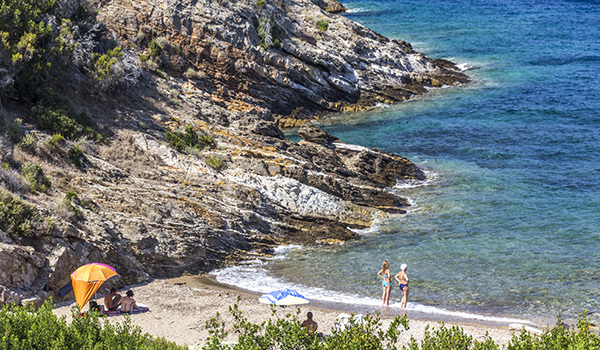 Although the beach is only a short stretch of sand and shingle, Cala Peducelli means a coastline of about 500 metres in length, where you can find low rocks very that are suitable for diving or sunbathing on spring or summer days. In the shelter of one of these low rocks, there are two other inlets consisting of coarse sand with a transparent sea, and are so tiny that usually there is only room for two. Swimming along this stretch of coast is an experience of light and transparency, you should however get some information about the weather as when the Scirocco wind the ripples the sea it looses it’s usual crystalline appearance. During the high season Felciao becomes a rather popular beach for residents as well as tourists, but you will always find some corner to retreat to without so many people around. As I described in this post, Felciaio is more a location than a beach, being a stretch of coastline of less than a kilometre along, where there are small beaches and low cliffs, with a shallow sandy seabed and clear rock pools. Felciaio is located near Lido di Capoliveri, the best known and very popular beach. To reach Felciaio, take as a reference point the “Fontina bar” and Anna’s fruit stall where there is a narrow asphalt road leading to the car park at Felciao. After walking through a few tens of metres of cysts and broom trees, you see the first beach below you, it is never very popular because it is rocky and completely exposed to those walking above on the path. 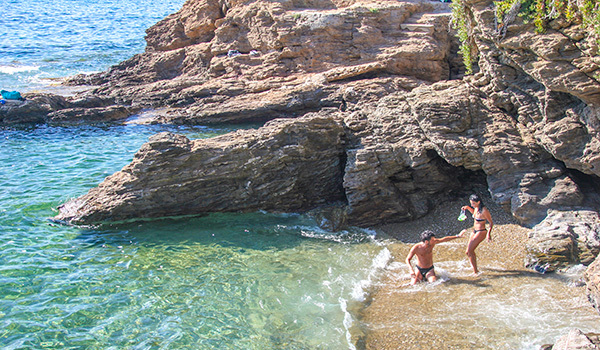 Go further on and down a few steps and you’ll find a good beach for families with children. It has a shallow bottom with a beach normally covered by a thick layer of dry leaves of Posidonia. Sometimes if the intensity of winter storms has cleaned the beach, you will have the opportunity to lie down directly on sand. Go on ahead and a third scenario offers itself, although generally more crowded, this is the beach with a small pier and a high rock about 70 metres long that stretches out into sea, this gives a good view from a height of 5.4 meters and is also used by the enthusiasts who like to dive in to the sea from this height. Go further on again and you will find low jagged rocks with tiny coves, ideal for seclusion and solitude in the sunshine. If you stay in the eastern part of the island, especially in Rio Marina, you will have the opportunity to visit some very special beaches which are definitely less crowded than in other parts of the island. One of these is Cala Seregola, a large beach in the middle of the mining area. It does not match up to the ideal cliché of the clear and crystalline sea with sandy beach, but the both the land and sea environment are so special, it is an interesting diversion from the conventional beaches. This can be accessed from the road from Rio Marina that leads to Cavo, there are distinctive strange mounds of reddish earth that mark the passage to the east, where you will be surrounded by a myriad of multicoloured stones and rocks. In recent years a friendly local family restaurant and bar has opened in this scenic location offering the opportunity to spend some time at a table with a spectacular sea view. Along this same coastline there is another very unique beach, Topinetti. Here the sand is black and heavy with hematite powder, and because it’s rather unusual you should make at least one visit it see this wonderful natural environment. A good quarter of Elba is occupied by that promontory that juts out towards the south and Monte Calamita, and belongs to the municipality of Capoliveri. The kilometres of coastline are interspersed with many varied beaches and coves. Although circumnavigating this area from the sea, of course, is a lot of fun you can also explore by bike, as described in this post as being among the 10 most interesting things to do on the Island of Elba. The eastern part of this coast line, namely the one facing the continent can be covered partly by car from the village of Capoliveri towards Capo Perla. After a few kilometres you come across an unmade section of road which ends in a barred gate. At this point you will have to proceed on foot. It is a few hundred metres of nice walking by the sea, until, after a curved concrete wall that acts as a curb stone to the sea, you will see the small Buzzancone beach. As described in this post, Buzzancone is the last beach before arriving in the uninhabited area of Mount Calamita, until you get to the Ripalte farm at the end of the peninsula.